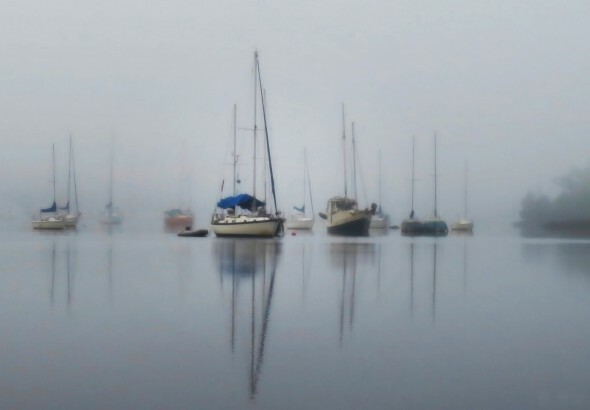 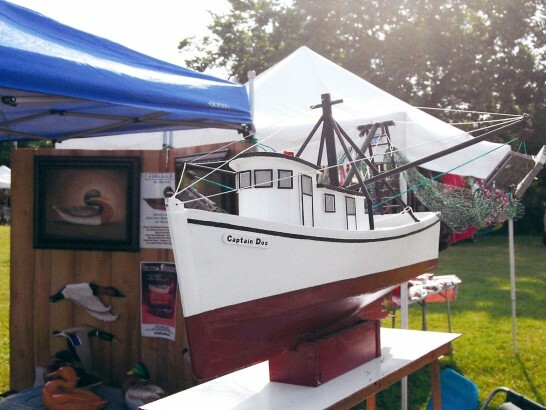 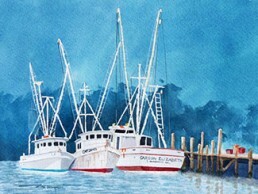 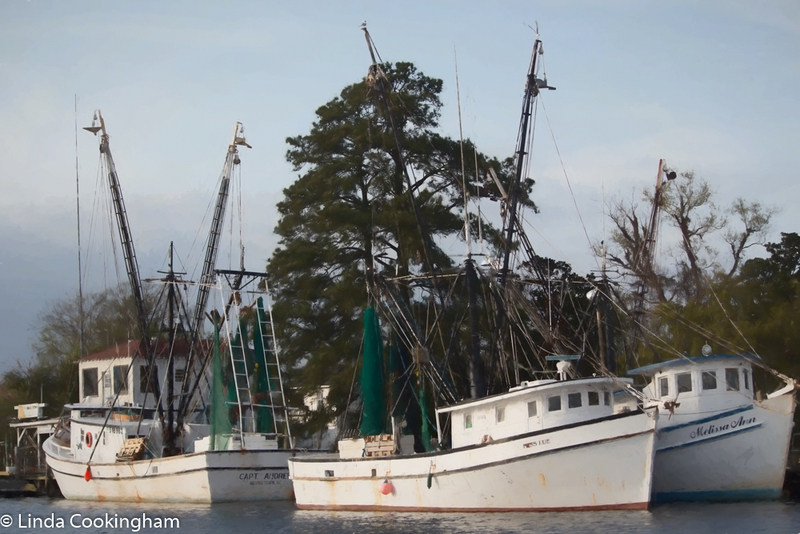 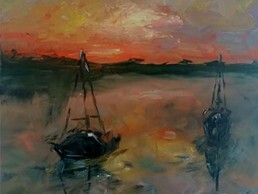 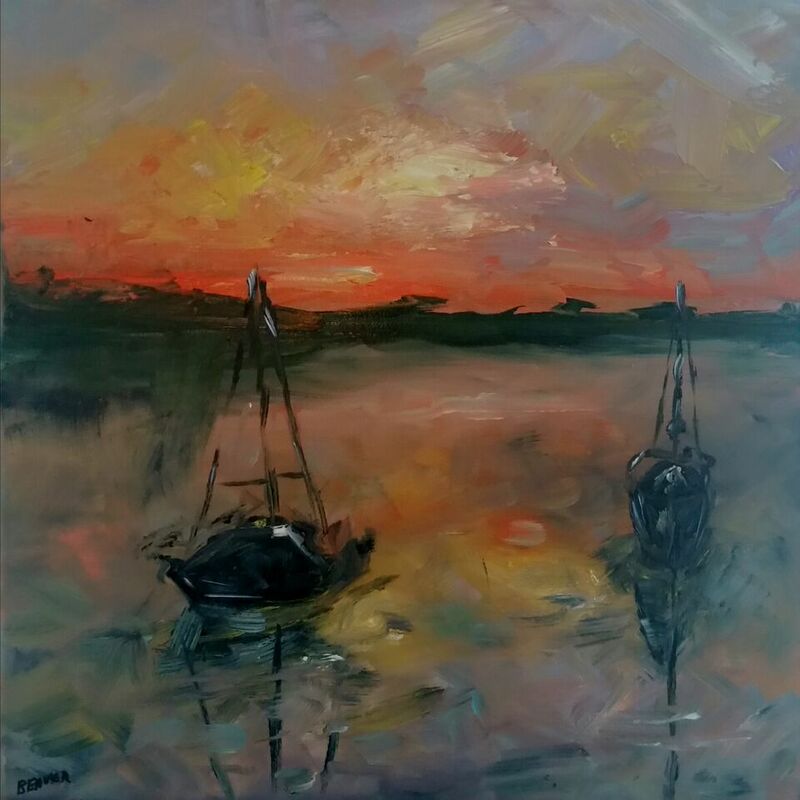 Paintings of boat ships and other watercraft. 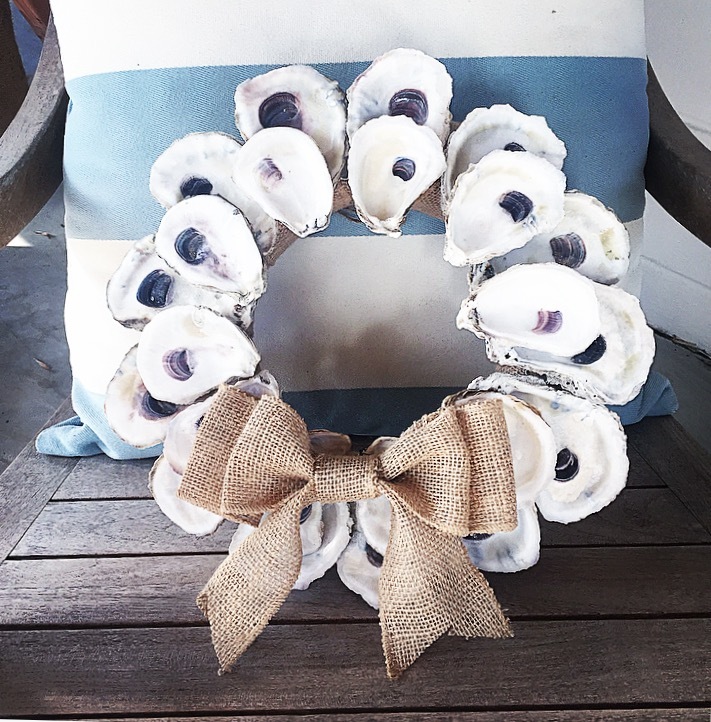 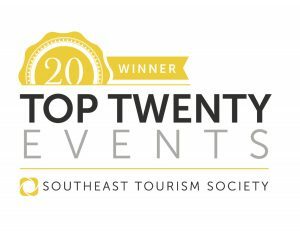 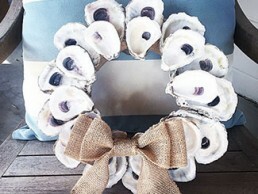 We specialize in oyster wreaths, recycled wooden signs & chalkboards adorned with oyster shell palmetto trees and one of a kind shell jewelry. 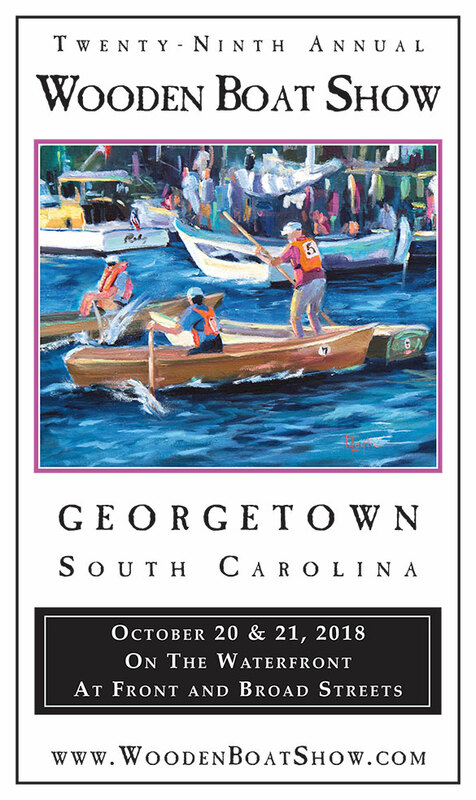 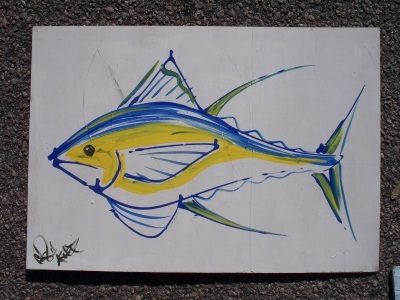 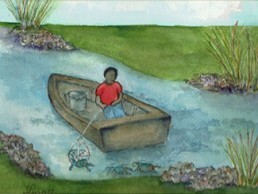 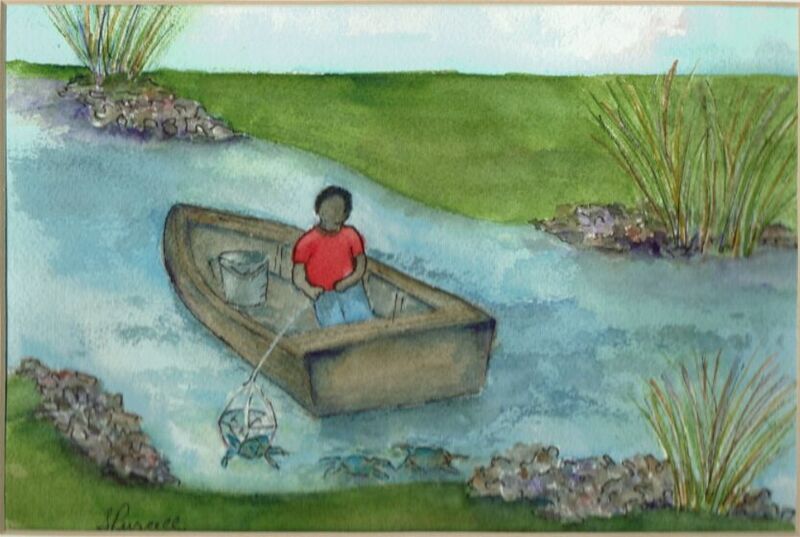 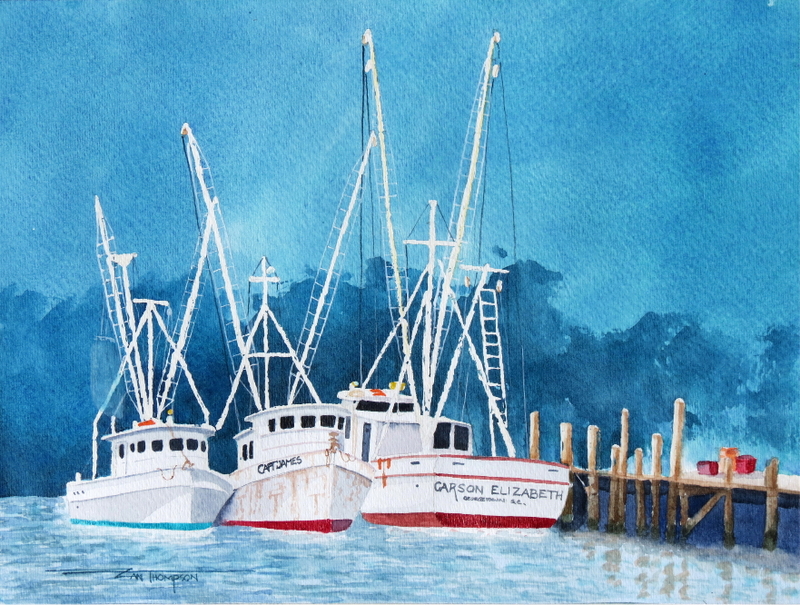 Collection of Gullah themed watercolors depicting a simple way of life. 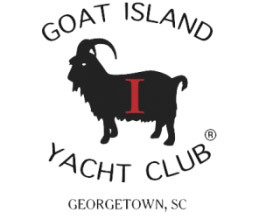 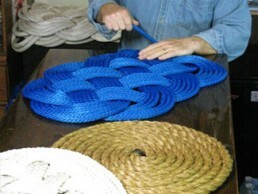 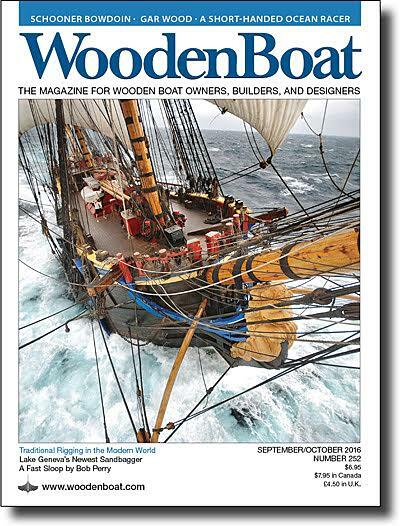 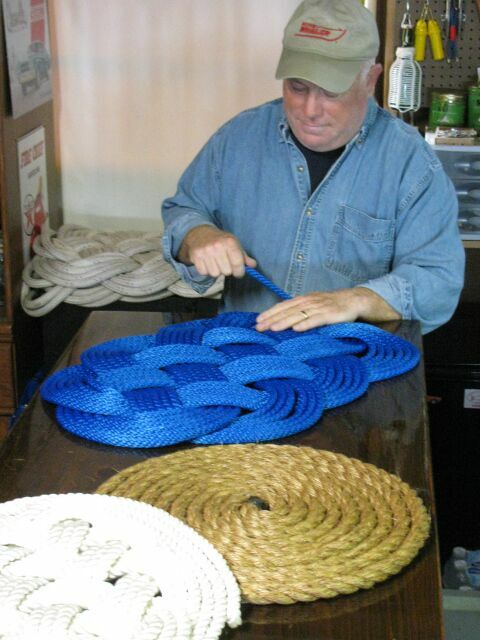 Old time sailor’s marlinspike fancywork. 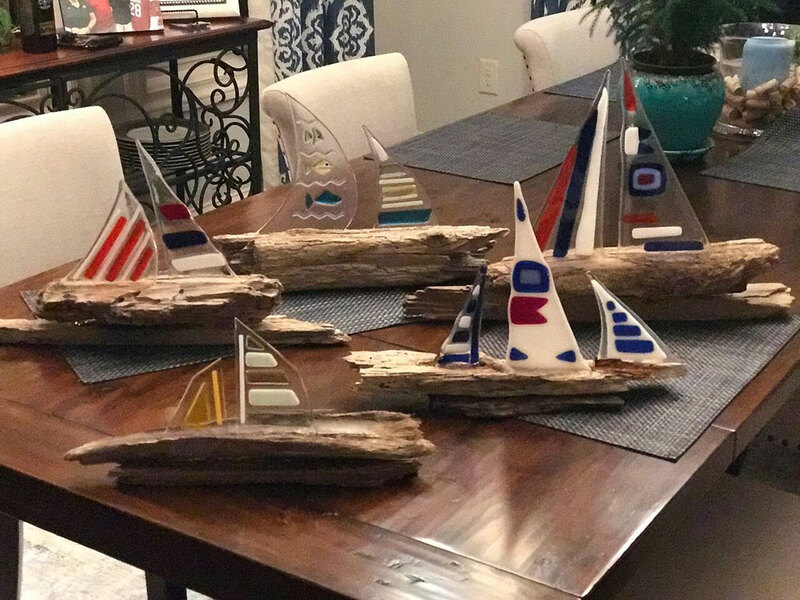 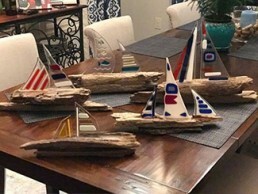 Driftwood and fused glass sailboats. 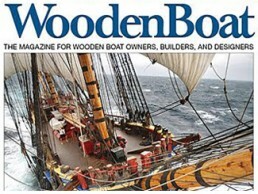 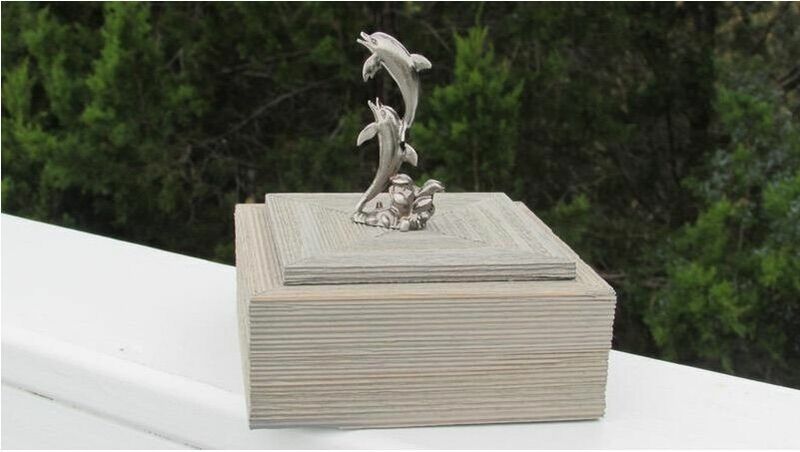 One of a kind nautically themed wooden boxes. 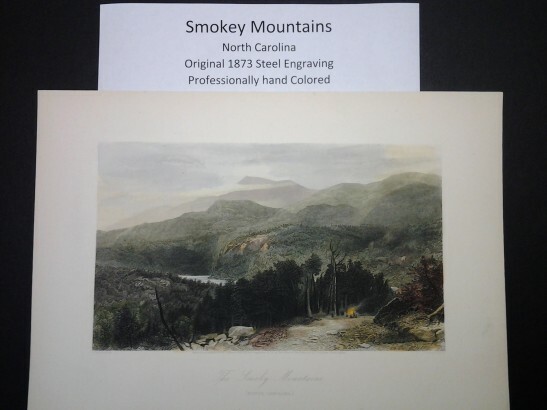 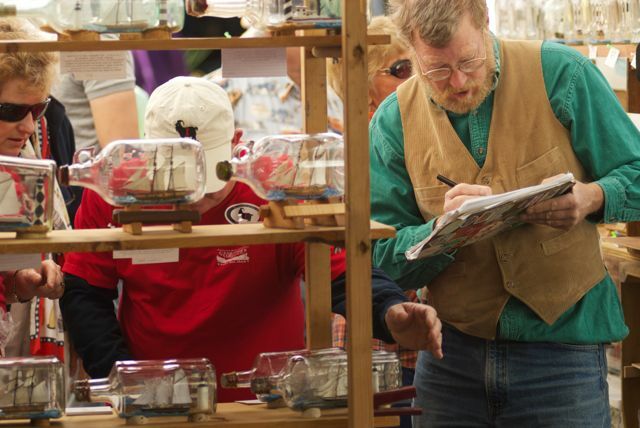 Each work of art is signed, numbered and dated. 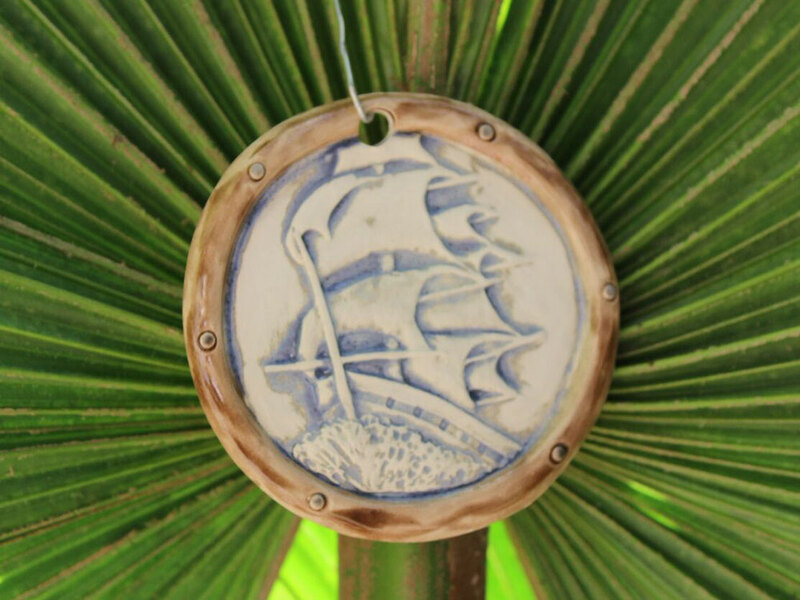 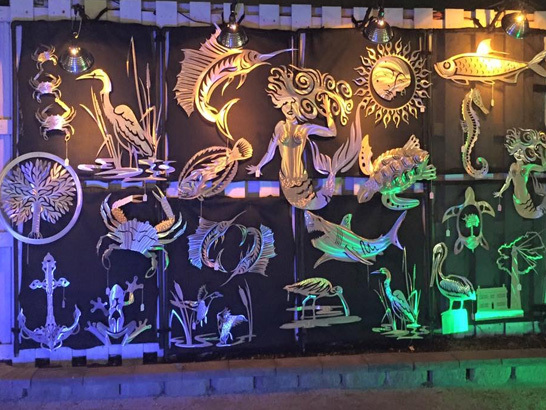 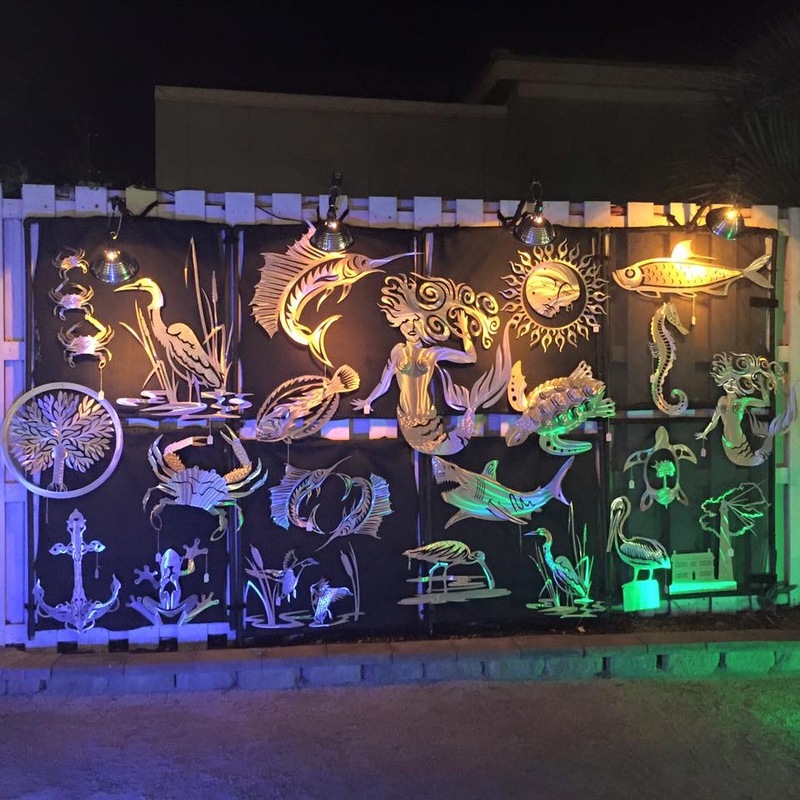 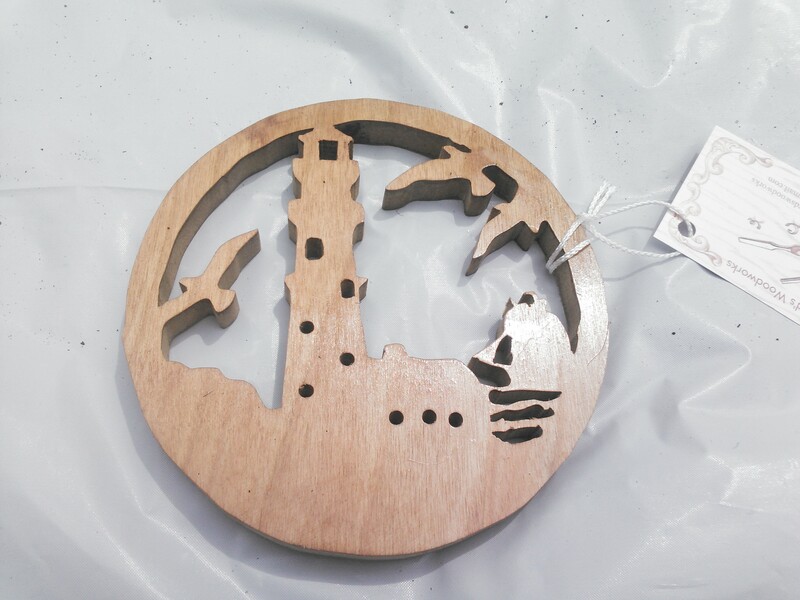 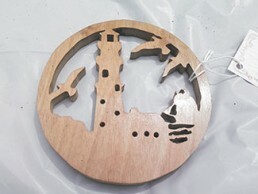 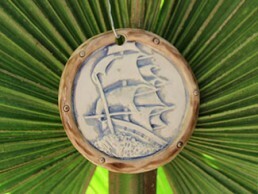 Handcarved ornaments with nautical and beach designs. 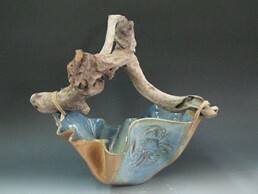 Functional foodsafe pottery with driftwood and leather handles. 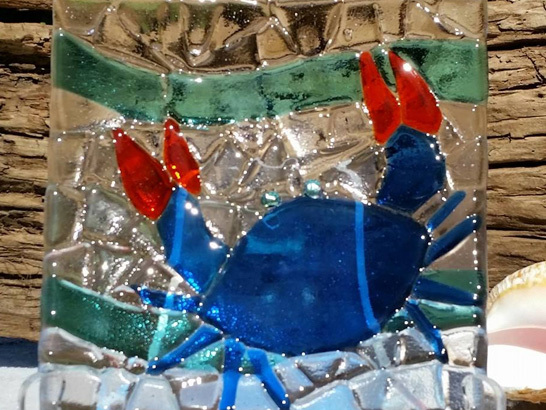 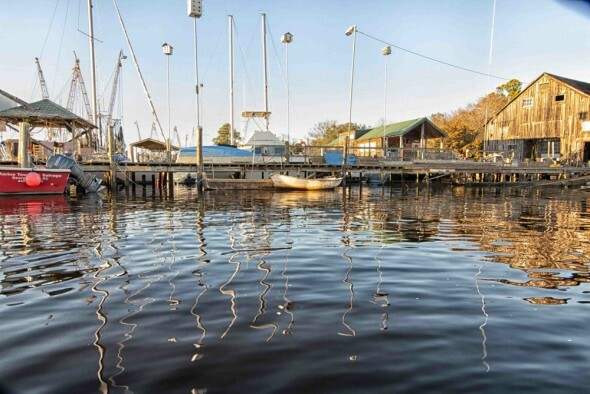 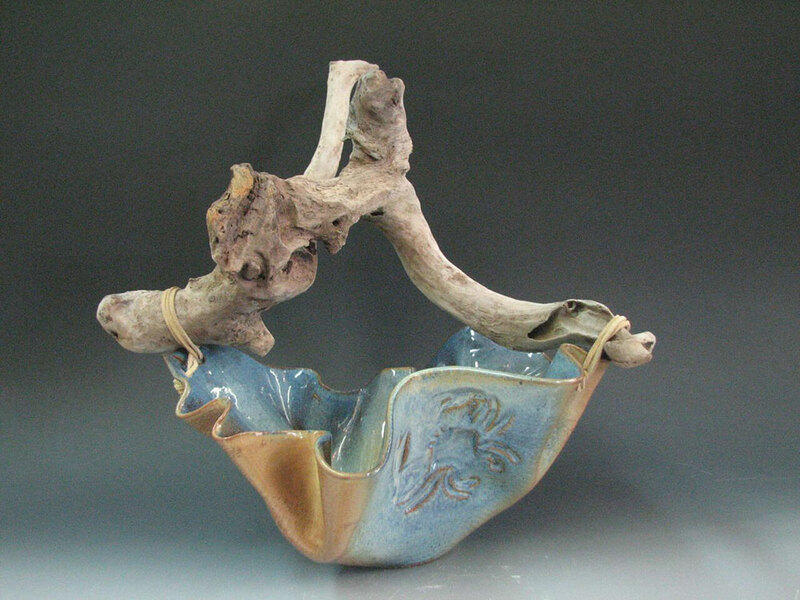 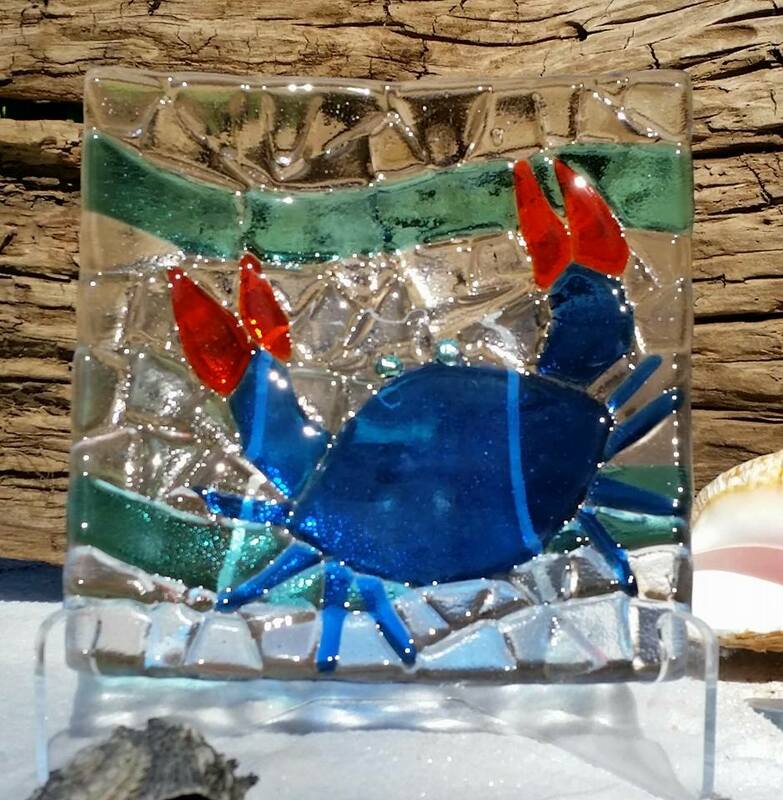 Sculpture and paintings inspired by the ocean, salt marshes and estuaries. 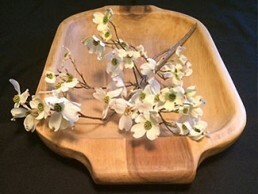 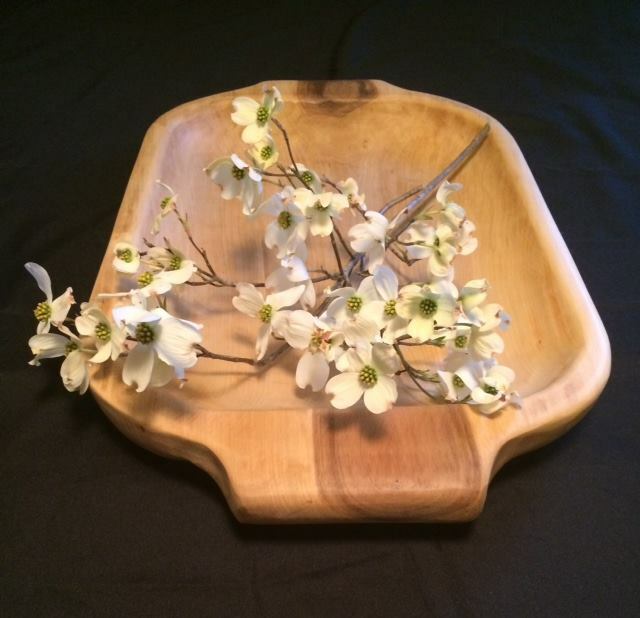 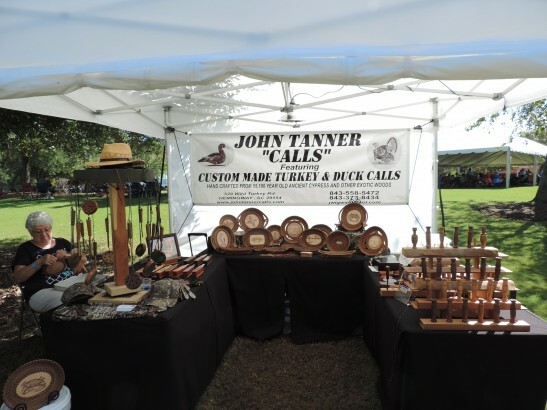 Handcarved wooden bowls and trays made from Tupelo Gum tree butts harvested from the Pee Dee Swamp. 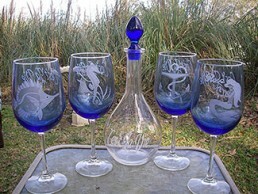 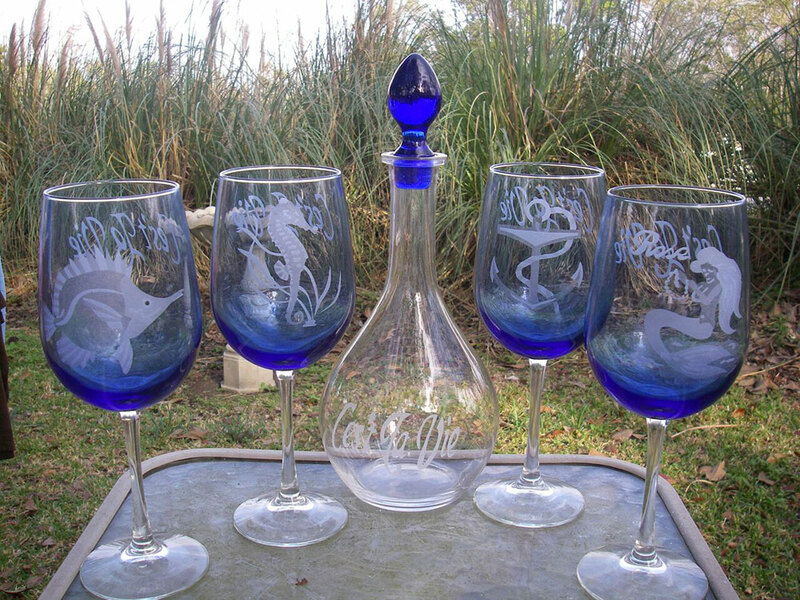 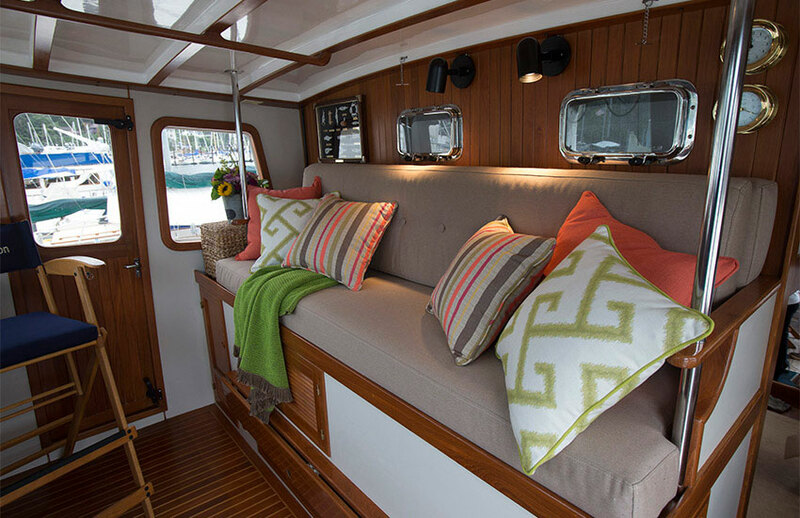 Nautically themed designs sandblasted on any kind of glass and mirror. 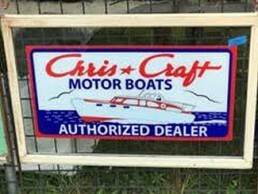 Vintage window sashes with vintage boat decals. 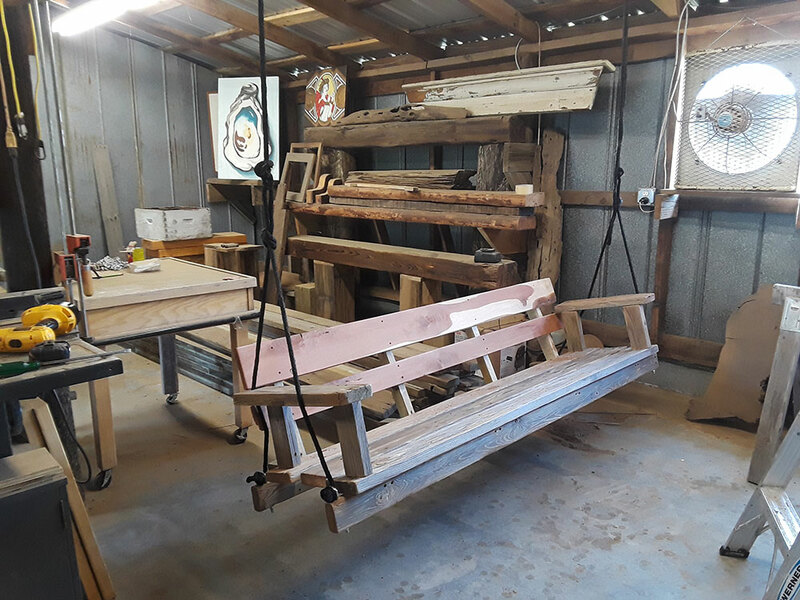 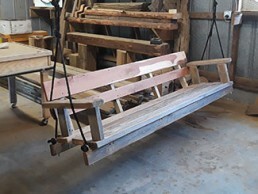 Teak benches and coffee tables. 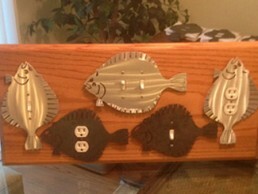 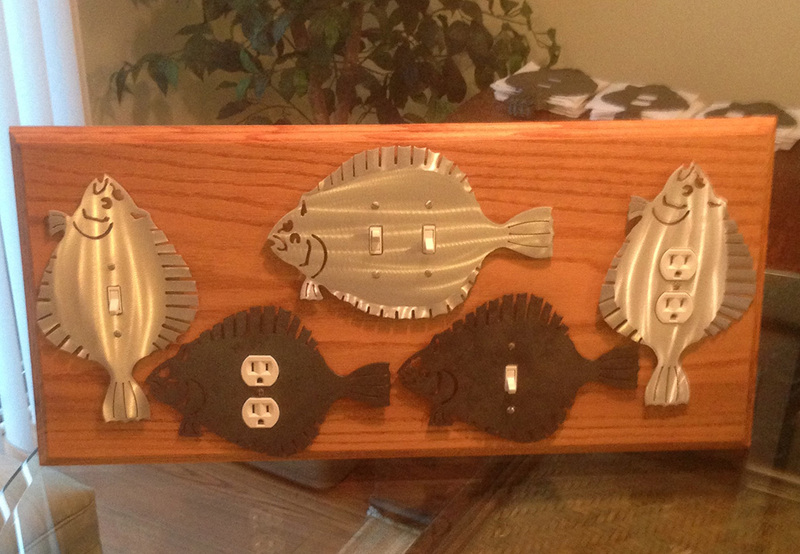 Single and double switch plates in burnished aluminum and dark metal in the form of flounders for light switches and receptacles. 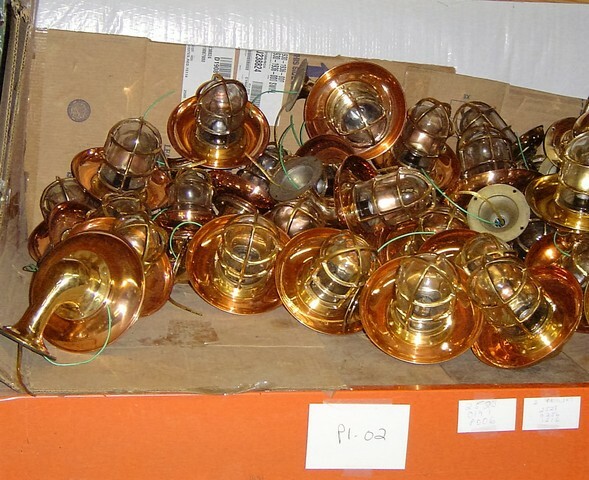 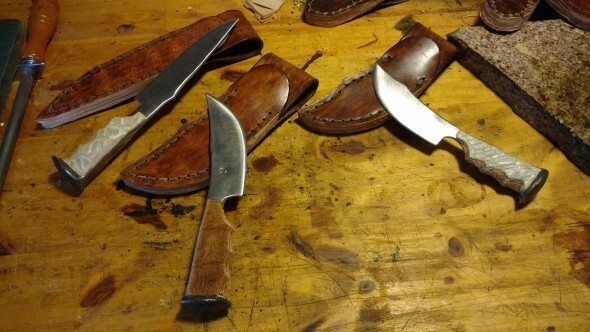 All hand-burnished and made locally. 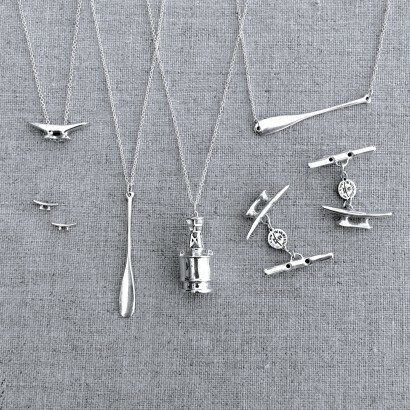 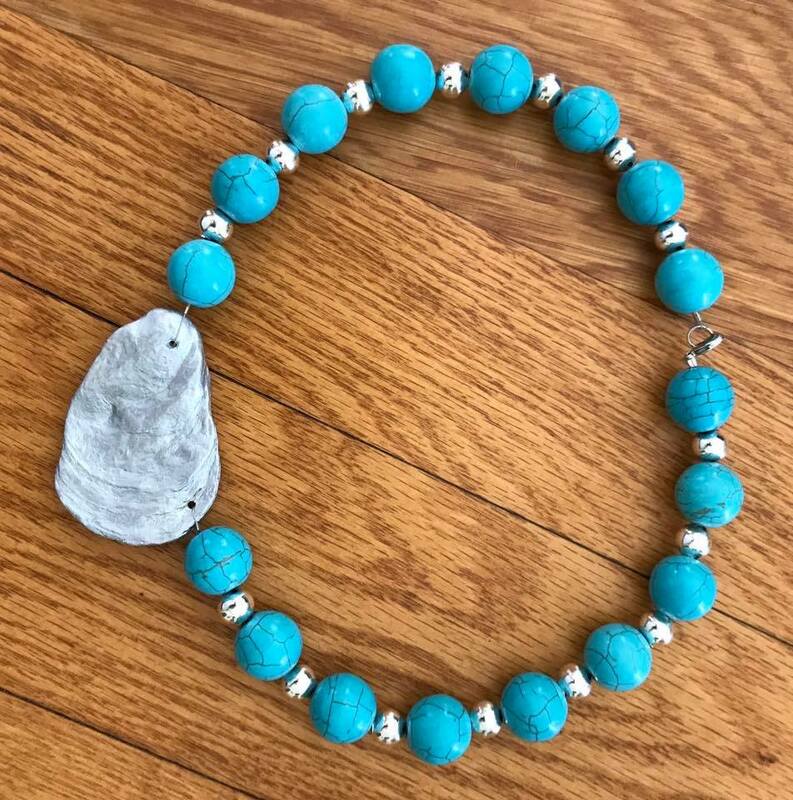 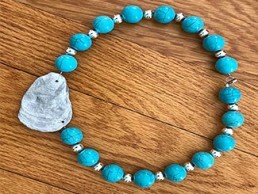 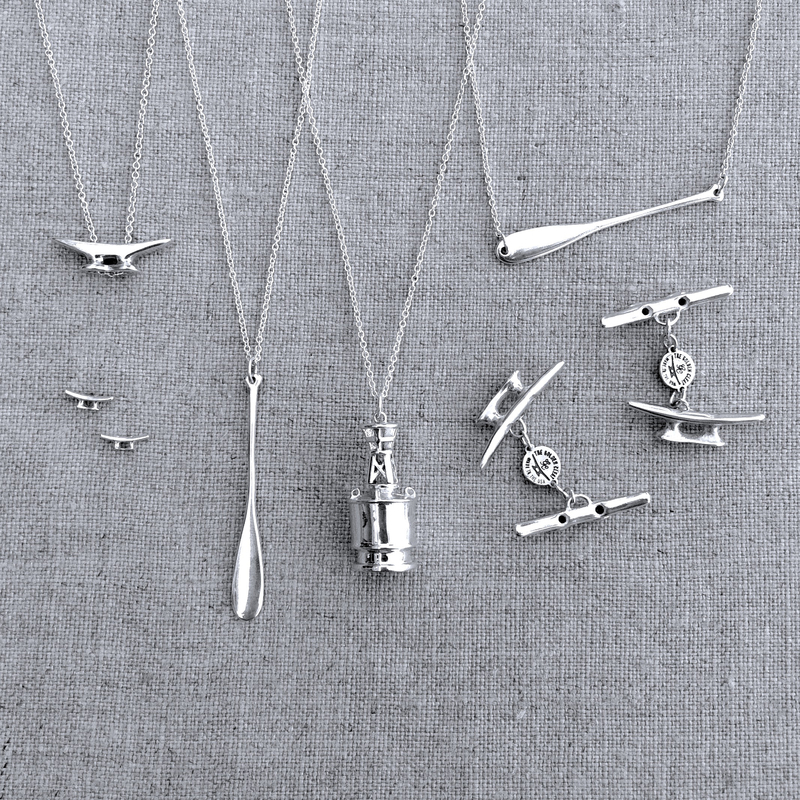 Oyster shell jewelry with nautical charms and pendants. 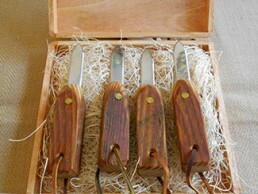 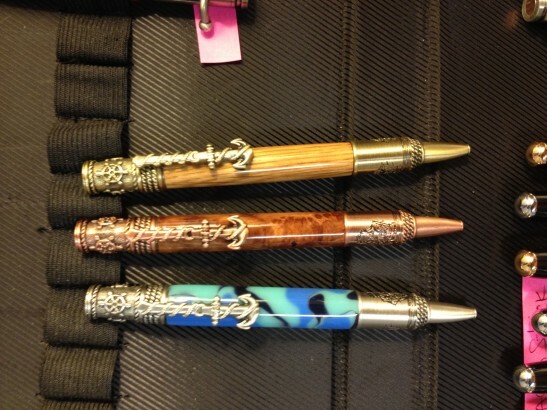 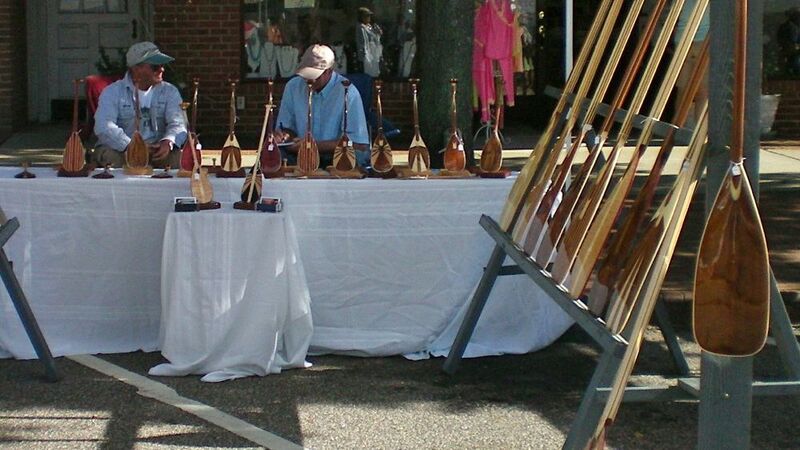 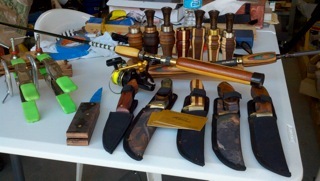 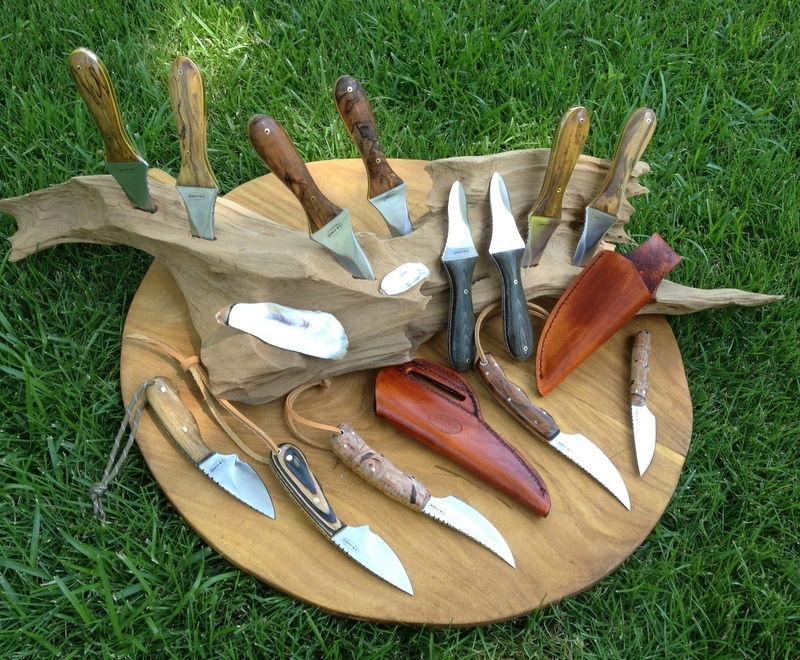 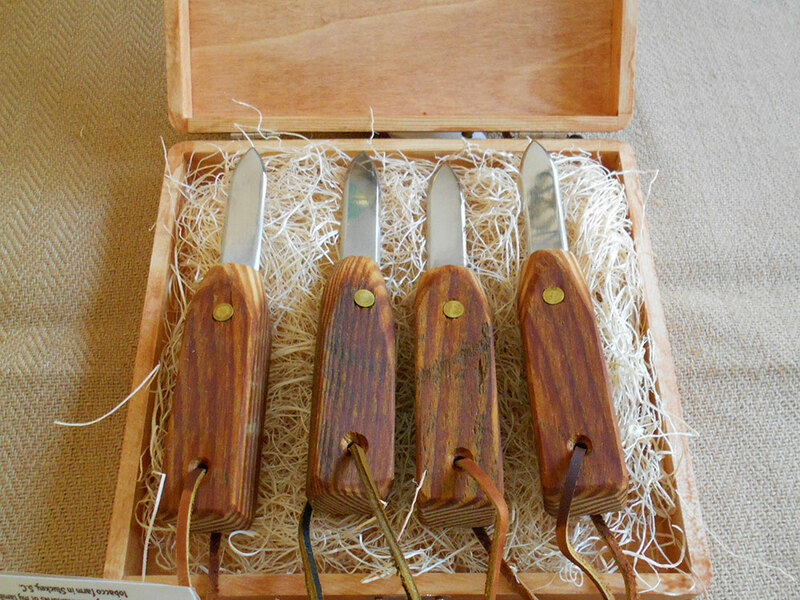 Oyster knives and novelties made from tobacco sticks from farms in Georgetown and Williamsburg Counties. 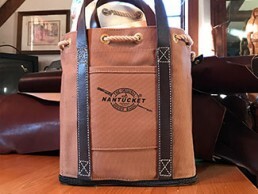 The Original Nantucket Diddy Bagg. 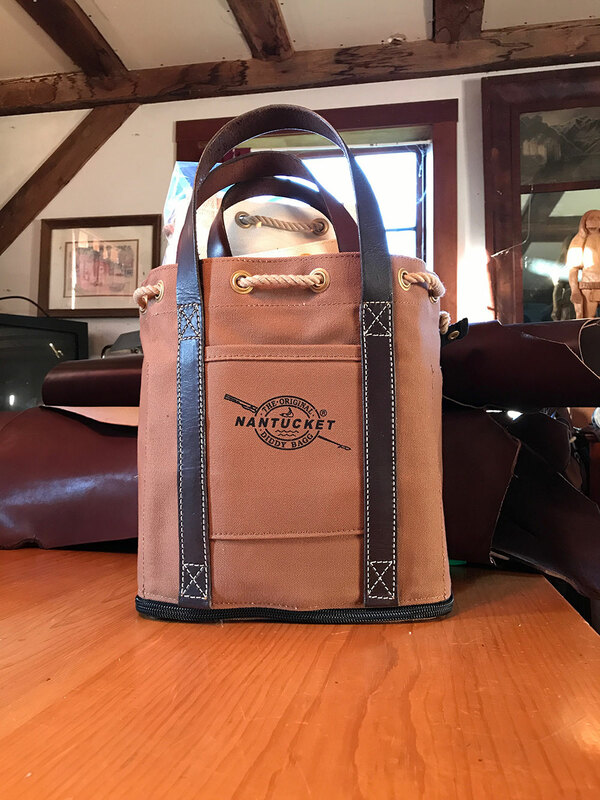 Artist tool baggs and leather goods. 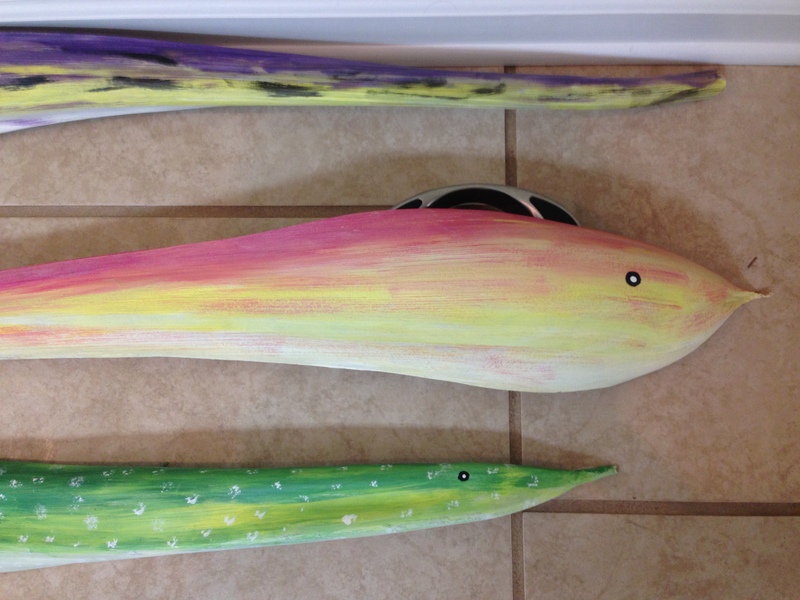 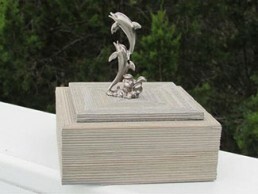 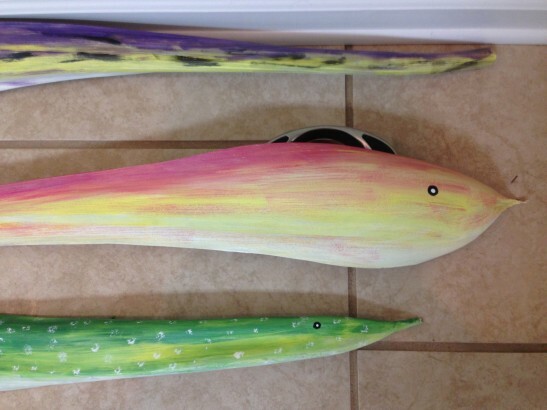 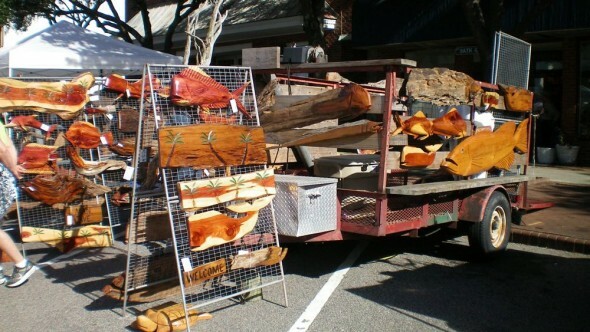 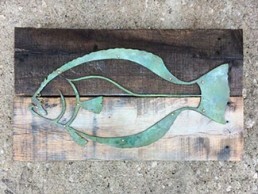 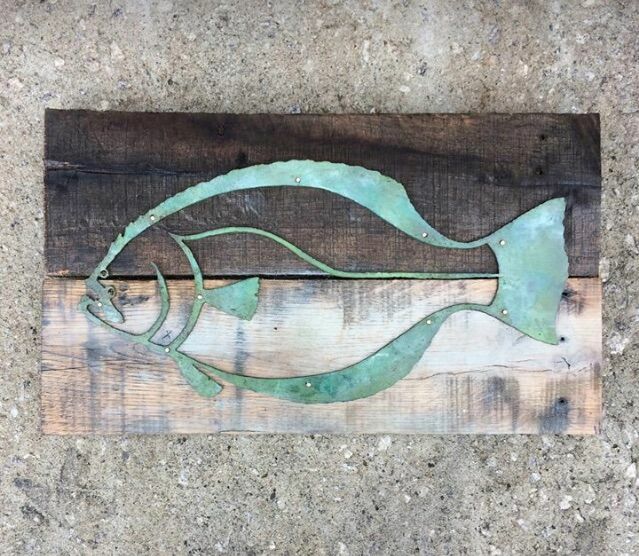 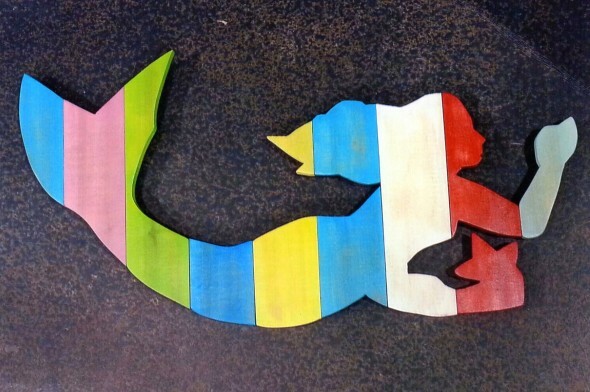 Handcrafted Dolphin Fish using locally cut cedar tree wood. 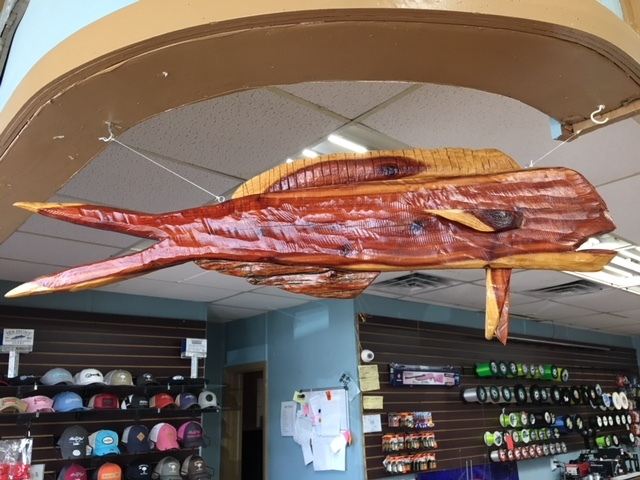 The character and size of each carving is dictated by the natural coloring and knot placement of the wood and sealed with marine varnish to accentuate its beautiful color and preserve it.